The search for “alternative energy sources” is a worldwide effort. There are many government bodies, universities and scientists around the world all working to find ways of replacing conventional fossil fuels with the newest green energy. Most people are in agreement that as the world slowly moves to depleting the Earth of its natural resources, we need to reduce our dependency on non-renewable sources of energy such as the common types of fossil fuels known as coal, petroleum oil and natural gas. Alternative energies fill the gap between non-realistic free energy sources and the more traditional fossil fuels. Once upon a time nuclear energy was seen as the answer to our global energy problem. The huge amounts of energy that could be produced from a small amount of uranium was seen as the future way to power our planet as it produces a clean energy with no contribution to global warming. But as we know, like fossil fuels, uranium is also a finite natural resource that over time will run out. Alternative Energy generally refers to any group of non-traditional fuel sources that do not burn fossil fuels or use up any natural resources that will result in damage or harm to the environment. In other words “Alternative Energy” is a cleaner and greener energy, well at least in theory. Alternative Energy Sources provide many advantages and benefits over the use of the more traditional fossil fuels such as less pollution and cheaper fuel costs, but the downside is that these alternative energy sources are not always available when we need them as sometimes the wind does not blow or the sun does not shine. But with the aid of modern technologies available today can make full use of these alternatives when they are available. So let’s take a look at some of the most common alternative energy sources and see how each one works. The sun has always provided the Earth with a great source of heat and light energy. In its simplest terms, solar energy is the radiant energy derived from sunlight and by using several different methods we can convert this solar energy into electrical energy using solar photovoltaic cells. These photovoltaic cells produce an alternative source of energy commonly known as “Solar Power”. 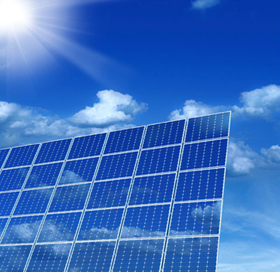 Solar power pollution free since its source comes completely from the sun’s rays. Solar thermal heating uses the heat energy of the sun to heat water or other such thermally conductive fluids such as oil which flow through a set of thermally conducting metal pipes enclosed within a solar panel or reflective dish. Solar hot water heating using roof mounted solar flat plate collectors is a cost effective way to generate lots of cheap and hot water for your home just using the power of the sun. We all know the benefits of using the suns energy to heat water, but the suns energy can also be used in solar pool heating systems to help heat the large quantities of cold water in an outdoor swimming pool without the need for expensive electrical pool heating units which can be rated at many thousands of watts of power. Heating a pool using just solar flat plate collectors can also increase the recreational use of an outdoor swimming pool by up to four months during the year just by using the free energy from the sun. Wind energy is power or energy derived from the movement of the wind which is harnessed by windmills, sails, and more commonly wind turbines. Windmills have been in existence for many thousands of years long before the birth of Christ, helping to power sailing boats, pump water and grind corn. Wind Power is all about converting the motional kinetic energy of the wind into physical mechanical energy for driving machines or pumps, or converting it into electricity energy to power our homes. Wind energy has the ability to generate many megawatts of electricity and is quickly becoming the most invested in alternative energy resource. Wind farms are being erected everywhere with enormous arrays of three bladed windmills dotted across the landscape. Of course, there is nothing new in using windmills or wind turbines for capturing energy. Today’s wind turbines are just more modern variations on the old theme. But these monsters of the landscape can help do away with conventional coal fired power stations. Wind energy is an excellent renewable source of energy and will go a long way in promising a good future to generations to come. Hydro energy or water energy is an effective renewable energy that harnesses the energy or power produced by moving water using waterwheels and water turbines. The most common form of hydro energy is hydro-electric power which uses the potential energy of the water in large reservoirs held behind huge dams. The energy stored in the water is then used to rotate large electrical turbines to generate electricity. It’s estimated that about 90 percent of all the electrical energy produced by renewable resources is generated solely by hydro electric power. Tidal energy or tidal power as it is also called is another hydro energy resource which uses the movement or kinetic energy of the seas and oceans to generate electricity. New water power technologies such as marine and hydrokinetic energy devices can transform the energy of the waves, tides, ocean currents and the natural flow of estuaries into sustainable clean energy. Tidal energy requires a large capital investment in dams, turbines and support ships, but once a “tidal power” plant is built the energy it generates is essentially free with the system being relatively inexpensive to run. Another interesting alternative energy source that can also be classed as a “renewable energy resource” is the development of Biomass and Bioenergy. Biomass energy is made from agricultural crops and organic plant materials such as wood, peat, grasses and straw grown specifically to be burnt as fuels to generate heat and power as well as organic waste in the form of biodegradable materials, garbage, compost, animal manure and other waste products which can be converted into usable energy. Bioenergy is the energy derived from the Biomass (organic matter) which is sustainable as new crops and forests can be grown to replace those that have been harvested. Geothermal is an alternative energy source that uses the natural buried heat from within the Earth’s core. Geothermal energy makes use of the enormous amount of energy stored as heat in the water deep below the Earth’s surface with the most prominent and visual example of this coming from “Geysers” and “Hot Springs” ejecting large columns of very hot water, steam and gases high up into the air. Water heated by underground magmatic activity is pumped to the surface and used to generate electricity or to heat buildings using geothermal heat pumps. We have seen that the sun’s energy can be used to create other forms of energy. Some of these alternative fuel sources above are not new. For centuries people have harnessed the power of running water in rivers and streams for a variety of needs, particularly for farming and transport. Water wheels and windmills have been used for many thousands of years to grind corn and husks to make flour for bread and a variety of different foods. Even passive solar energy was used to warm homes and dry clothes. Some forms of these “alternative energy sources” above are really just improvements of long-existing older technologies. But with the advancement of technology in the modern age other types of alternative energies are genuinely new, such as bioenergy, fuel cells and solar panels. To learn more about the different “Alternative Energy Sources” available and how alternative energy works, to obtain more facts and statistics about the various alternative energy sources available, or to explore the advantages and disadvantages of using alternative energy in the home. Then why not Click Here and get your copy from Amazon of one of the of one top alternative energy books today to learn more about how you can use alternative energies in your home to save both money and the environment.